An Ogun State High Court sitting in Abeokuta, has sentenced a Federal Pay Officer, Mr. Lawal Wilson Olusegun, to 127 years imprisonment for diverting N103 million meant for infrastructural development and meal subsidies of three federal government colleges. The convict was charged before Hon. Justice Olatokunbo Majekodunmi, by the Independent Corrupt Practices and Other Related Offences Commission (ICPC) on a 24-count charge bordering on abuse of office and embezzlement of public funds. The Commission, in the charge sheet accused the ex-pay officer of embezzling funds meant for feeding of students in Federal Science Technical College, Ijebu-Imushin, Federal Government Girl’s College, Sagamu and Federal Government College, Odogbolu. He was also charged for fraudulent acquisition of property contrary to and punishable under Section 12 of the Corrupt Practices and Other Related Offences Act, 2000, “when he knowingly registered a private Limited Liability Company, while still being in the employment of the Federal Government of Nigeria, with the sole aim of using same to do business with his employer (Federal Government of Nigeria), and in that character used the said company to divert subsidy monies for the schools to his personal use’’. The court found him guilty on all the 24 counts and then sentenced him to five years in jail for counts one to twenty, for violating Section 19 of ICPC Act 2000. Justice Majekodunmi further sentenced him to seven years imprisonment on counts 21-23 for contravening Section 12 of the Act 2000 and another three years on Count 24 for violating Section 456 of the Criminal Code. All the sentences are without options of fine. 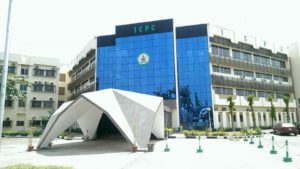 Before his arraignment in 2016, ICPC had recovered N56.1 million from the accused which was then handed over to the representatives of the three affected schools. The trial judge, while handing down the sentences, said they would all run concurrently.